Kingston's M.2 SATA G2 SSD is a compact, caseless internal solid-state drive that combines high capacity with low power consumption. Lighter weight than a cased SSD, the M.2 SATA G2 SSD optimises performance with advanced garbage collection, wear-levelling, TRIM support and DevSleep. Suitable for small-form-factor (SFF) PCs, the M.2 2280 SATA G2 SSD easily integrates into designs with M.2 connectors. 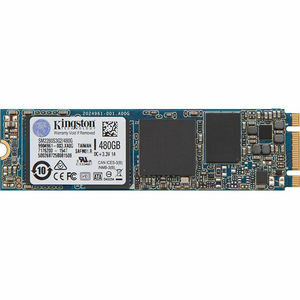 The complimentary Kingston SSD Manager (KSM) monitors warranty status and SSD health.